Cheryl is passionate about local real estate, and she is sincere in her desire to understand what her clients want, and help them achieve it. Their goals become her goals. Whether it is a New Yorker tentatively contemplating life across the river, or a growing family wishing for a larger house. Cheryl is here to listen, ask questions, and help each client find the right solution in order to achieve their goal. As a citizen, property owner and parent, Cheryl has navigated surrounding communities, and has experienced the local real estate market first hand. No doubt, being local is valuable, and so too is Cheryl's twenty-two year career in global media management and digital marketing with well-known companies, including The Weather Channel, ABCNews/ABC Entertainment, iVillage.com, and USAToday.com. While at Yahoo! 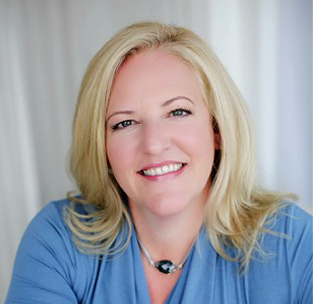 as Managing Director of account management for North America, Cheryl decided that as much as she had enjoyed her challenging executive career, and working and living in foreign countries and American cities, it was time to shift her focus, and to apply her media and marketing know-how to a local business, her own business in local real estate. Cheryl approaches real estate with the same dedication and intellectual curiosity she has applied to all areas of her life. In order to represent her clients most effectively, Cheryl welcomes opportunities to stay ahead of changes in the market and the industry, and hone her skills. To this end, Cheryl is a Certified Real Estate Advisor, Master Certified Negotiation Expert (MCNE), Short Sale and Foreclosure Resource (SFR) and an Accredited Buyer's Representative (ABR). Cheryl's stellar performance has been noted and honored. Among her many awards are: Sale of the Year, Top 10 Agent for 2012, 2014 NAR Circle of Excellence Award, Top 25 Producer and Top Associate for Volume and Units awards . Her passion for the housing market, architecture, interior design and extensive sales and marketing experience enables Cheryl to be a successful consultant and advisor for your real estate needs. Located in Northern New Jersey along the direct train lines into New York City, we specialize in Montclair, Verona, South Orange, Maplewood, Millburn/Short Hills, Livingston, Summit, New Providence, Berkeley Heights, Chatham, Madison, Harding and Morristown. However our preferred agent network allows us to assist you in the purchase or sale of any property in the continental United States or around the Globe! So whether you are in the United States, Canada, South or Central America, Europe, Asia, Africa, or Australia, we can help! Feel free to call or email for a private, stress-free discussion. Let the Darmanin Group at Keller Williams Suburban Realty help you achieve your real estate goals today!